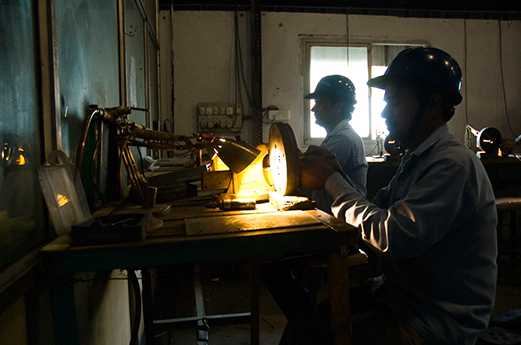 With time, the name Maan has become synonymous with quality and reliability in the industry. Today, the brand frequently commands prices at a premium compared to its competitors. Quality and Service being our management commitments, we wish to continue with our past success and ensure the highest standards. 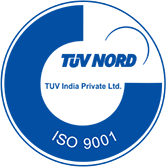 We are accredited with ISO 9001:2015 certified from TUV India Private Ltd.
Our Quality Assurance Laboratory is equipped with a modern testing facility such as Optical Emission Colour Spectrometer, to check the chemical composition of the aluminium alloy being casted and extruded. Computerized Tensile Testing Machine and various types of gauges are used to measure the material as per standards at various stages, right from raw material to extrusion and final packing. Apart from the given equipment, our trained team from the Quality Control Department keeps a constant watch over the processes and procedures being carried out in the plant. Research and Development under the guidance of technical experts is an ongoing process for continuous improvement of product. At Maan, our commitment to quality maintenance is reflected from the various accolades and certifications we have received as a company.